From fine Italian violins and French bows to classic Gibson guitars and mandolins, Skinner offers fine musical instruments that represent the best of the luthier’s craft. 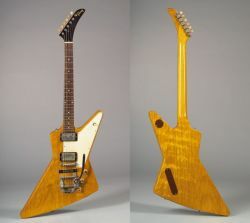 Stringed and fretted instruments possess a unique profile in the world of antique and rare objects because, as often as not, they are working tools of the trade for musicians. Factors such as tone and playability come into play alongside the usual considerations about rarity, provenance, and condition. One thing is universally true: age tends to confer a sound quality and character that can be attained by no other means. 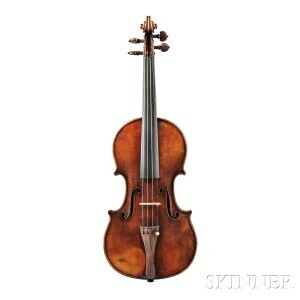 The best bowed stringed instruments – violins, violas, and cellos – combine superb old tone woods (generally spruce and maple) with the legendary craftsmanship of the Cremonese makers of the Golden Age of violin making: Amati, Stradivari, and Guareneri. 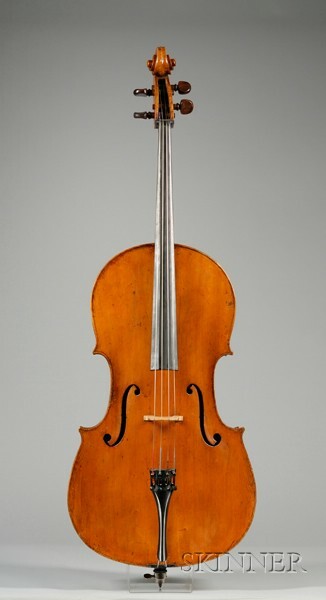 Other makers such as the families of Gagliano, Grancino, Guadagnini, and Ruggeri also produced superb, beautiful sounding instruments. 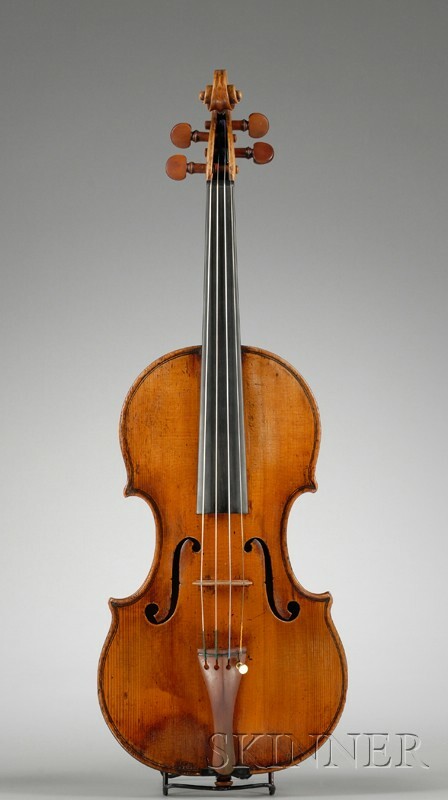 With all of these instruments, the finish details, everything from the carving of the final comma of the scroll to how the purfling is inlaid – not to mention the exquisite varnishes whose formulas have long been the subject of speculation and analysis – contribute to make fine violins, violas, and cellos that can possess almost magical playing qualities and deeply unique tonal characteristics. Bowmaking was perfected in France by Francois Tourte, who developed the first modern bow from Pernambuco wood. French bows are considered among the finest, with bows from makers such as Peccatte, Lupot, Voirin, Lamy, Sartory, and others now in high demand. Across the channel in England, the Dodd family started a tradition of fine English bowmaking that was followed by Tubbs and W.E. Hill & Sons. 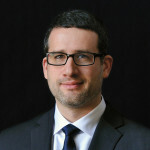 Nürnberger and Pfretzschner are regarded as the best of the German school. In the world of fretted instruments – guitars and mandolins – two names stand out: Martin and Gibson. 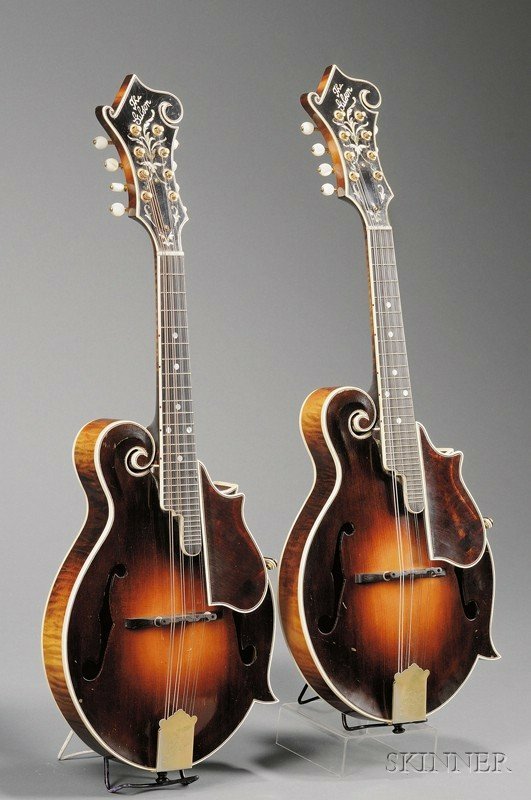 Generally of more modern origin than their bowed instrument counterparts, fretted instruments are collectible for many of the same reasons – first rate materials that are no longer available, extremely fine workmanship, limited production, and an interesting historical context. The Martin D-45 guitar from 1941, and the Gibson F-5 mandolin from 1923 are excellent examples. It’s often said that “imitation is the sincerest form of flattery,” and this old saw is as true as ever in the area of fine stringed instruments. 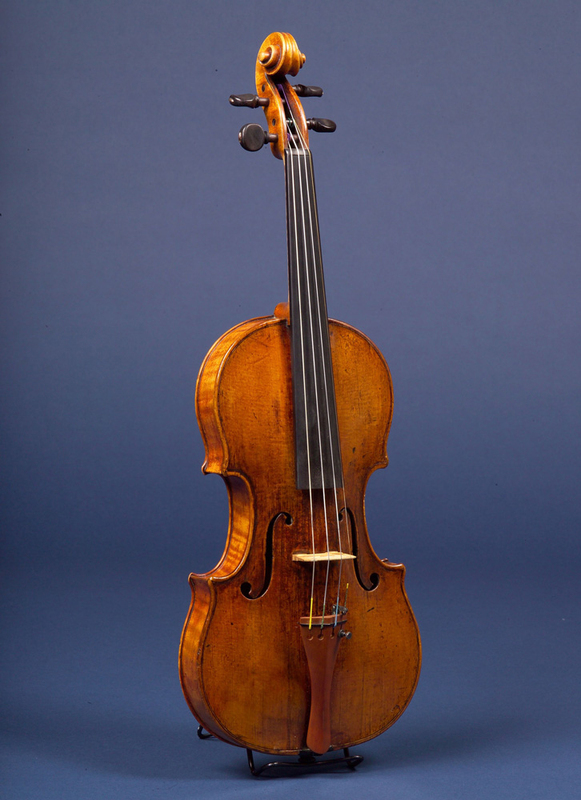 After all, many violins, even of recent construction, are labeled “Stradivarius,” usually because the maker patterned the instrument on the Stradivarius form. That said, if you think you have an instrument or bow that has some age and history, and you’d like to find out what it might bring at auction, learn more about consigning with Skinner.